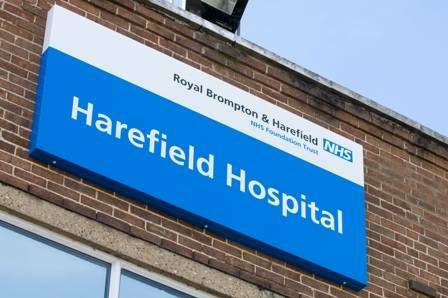 My Captain’s Charity choice for 2017 is Harefield Hospital. I have as many members know, an intensely personal reason for choosing it. In 2012 my son Andrew suffered catastrophic heart failure brought on by a virus. 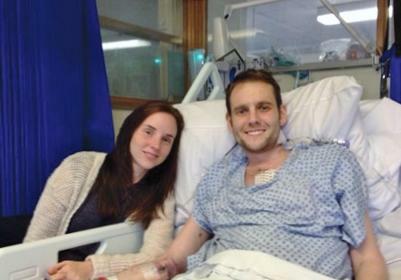 It left him needing major intervention culminating in a heart transplant in September 2013. Put simply, Harefield saved his life. Without the skill of the multi-national, hugely talented and committed staff, there is no doubt he would have died in 2013. The club has had previous links with Harefield as it treated Steve Montgomery for a number of years. Harefield is an amazing place. It only does hearts and lungs but is a world leader in the field. Since 1983 it has carried out just over 3,000 transplant operations. It’s record is second to none in the world. The current appeal by the charity is to raise funds to provide 6 more Intensive Care spaces which will enable 250 more transplant patients a year to be treated. Andrew's story can be read in full below. I know you will offer the same amazing support that members have always given to make this yet another successful year for our charities. Enjoy your golf! Lauren called for the local doctor and Andrew was put on a rehydration drip in his beach hut. It quickly became clear that this was far more serious than first thought and the next day the couple took a boat to the nearest hospital. There, doctors found that Andrew had a heart rate of 200 beats per minute. He was sedated, given defibrillation shocks and warned that he could die if he was not taken to a specialist hospital in Bangkok within 24 hours. 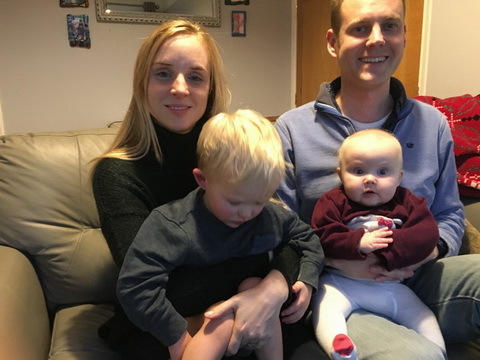 After several weeks, Andrew was stable enough to fly home by medical jet, and was taken straight to Harefield Hospital where he was diagnosed with myocarditis. Dr Nick Banner, Andrew’s cardiology consultant, explains: “Myocarditis is an inflammatory condition that can damage the heart muscle. The most common form is often triggered by a viral infection. We do not know why some episodes of viral infection trigger myocarditis and others do not. The majority of cases clear up within a week. However, sometimes the inflammation in the heart is more severe and serious damage occurs. Once the heart muscle becomes weakened and the heart enlarges, the result is heart failure. Unfortunately, this is what happened in Andrew’s case. Andrew was fitted with a cardiac resynchronisation therapy pacemaker and defibrillator (CRT-D) to improve the performance of his heart. CRT-Ds have the additional function of being able to quickly stop an abnormally fast, potentially life-threatening heart rhythm. He was then able to leave hospital, but seven weeks later he collapsed and was readmitted to Harefield. This time, Andrew had eight hours of open heart surgery, and was fitted with a left ventricular assist device, which is designed to directly support the pumping function of a failing heart and improve blood flow to other vital organs. When a heart became available in September 2013, the Organ Care System was used to retrieve the donor organ and keep it in the best possible condition before Andrew’s operation. He recovered well, and was finally able to leave hospital in November – almost a year to the day that he first collapsed in the Maldives. Andrew returned to his job as a project manager at an international hotel chain soon after Christmas 2104 on a part-time basis and by Easter was back to full time. He is now working for a major insurance company in The City. He started jogging and enjoys taking dog, Billie, out for daily walks. He has now returned to the occasional game of squash but is finding that 2 energetic children provide plenty of exercise! Frank Fabio was born on Oct 13th 2014 and is now a non-stop 2 ½ year old. Fabio is the name of the surgeon who performed both of Andrew’s operations. He became a big brother in 2015 with the birth of Nancy Jennifer. Lauren has written a book about their experience – Strength in Strangers which can be downloaded from Amazon, proceeds go to Harefield Hospital.